1. Learn how to be okay being alone. You will find that a lot of College is being alone. Whether it is eating alone, being in a huge lecture without friends, or exploring campus there is a lot more alone time than one would think. Master this skill. Being alone can be a great time to sit with your thoughts and reflect. I often had a different schedule than my friends leading me to eat lunch in the dining hall alone every now and again. I learned to love and appreciate this time to myself! Especially when considering the constant hustle and bustle of dorm life, this alone time can be crucial. 2. Your microwave is your new best friend. When your sick of dining hall food and on a budget Freshman year, your microwave is your new best friend! Being able to buy quick easy snacks to eat in your room or on the go is super helpful. Take advantages of deals through Red Card at local grocery stores like Fresh and save money on quick meals. As mentioned above Red Card is a great tool for students at UW-Madison. Not only can it be used at Fresh but also at various restaurants on and around campus. Also, the participating restaurants often offer great deals and promotions for those who use Red Card! This can be a great tool to help a Freshman on a budget get free and cheap food on the go. 3. Branch out! Try new things. One of the most valuable tips I can offer is BRANCH OUT. Get out of your comfort zone! Freshman year is the best time to meet new people and create new experiences! Very important. Find a balance between the “number one party school” scene and studying! A big step in adulting is learning how to manage and balance your priorities. Find a way to do have fun and get ahead in your studies. 5. DON’T do your homework in bed! It sounds simple, doesn’t it? Well, studies show that doing homework in bed limits focus, decreases productivity, and hurts sleep. I know – studying in bed is so convenient, especially when you’re in a small dorm room. However, try to avoid it! There are plenty of places to study and do work on campus and it’s a great way to get outside and have a change of scenery. 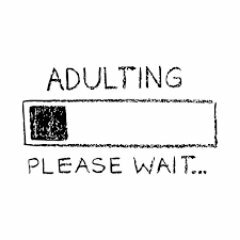 Just remember, enjoy your Freshman year, adulting isn’t as bad as it seems. Good Luck!